Prime Minister Shinzo Abe said Thursday he will work to regain public trust in his Cabinet, a day after Japan's Olympics minister resigned in the wake of remarks deemed offensive to people affected by the 2011 earthquake and tsunami. Opposition parties turned up the heat on Abe, who initially defended the minister, Yoshitaka Sakurada, despite his repeated gaffes. The ruling Liberal Democratic Party is in damage control mode in the run-up to key local and national elections. "The whole of our Cabinet will make utmost efforts to regain trust and work toward the recovery (of the disaster-stricken areas)," Abe told reporters. "We should sincerely accept this criticism. All Cabinet ministers need to take the situation seriously and be even more diligent," Abe said. Abe said he has decided to appoint former Olympics minister Shunichi Suzuki, 65, to replace Sakurada, 69, who came under a barrage of criticism after he said Wednesday that political maneuvering is "more important than the recovery" of Tohoku, northeastern Japan. 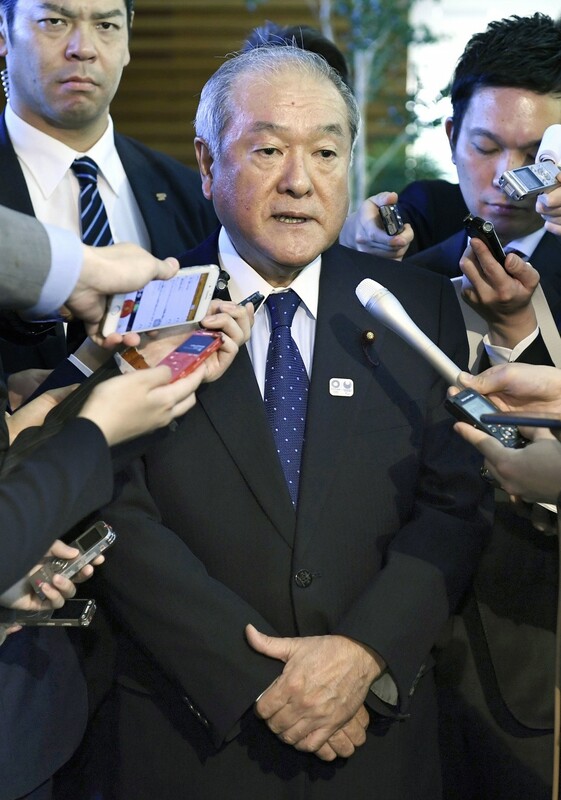 The premier expressed hope that Suzuki, who was elected from one of the disaster-hit areas, will oversee the delivery of a successful 2020 Tokyo Olympics and Paralympics. "The comments were inappropriate, hurting the feelings of people in the disaster-hit areas," Suzuki told reporters after meeting with Abe. Abe's decision to sack Sakurada is seen as an attempt to head off any negative impact on local elections to be held simultaneously across Japan on April 21 and on the House of Councilors race in July. Last week, deputy land minister Ichiro Tsukada stepped down for remarks that suggested he exerted influence on a road project due to it being constructed between the constituencies of Abe and Deputy Prime Minister Taro Aso. Sakurada was the eighth Cabinet minister to resign under the current administration, which began when Abe returned to power in 2012. "It came too late," said Kiyomi Tsujimoto, the Diet affairs chief of the Constitutional Democratic Party of Japan. "The prime minister bears responsibility for having kept (Sakurada) in a ministerial post despite criticism that he was not fit to hold it." As opposition parties decided to call for further explanations in parliament, criticism also came from within the LDP's coalition partner. Natsuo Yamaguchi, who heads Komeito, said Sakurada's remarks "irritated people in the disaster-hit areas" and should never be tolerated. The remarks in question came when Sakurada attended a fundraising party for Hinako Takahashi, a fellow LDP lawmaker from Iwate, one of prefectures affected by the March 2011 disasters that also triggered the Fukushima nuclear crisis. 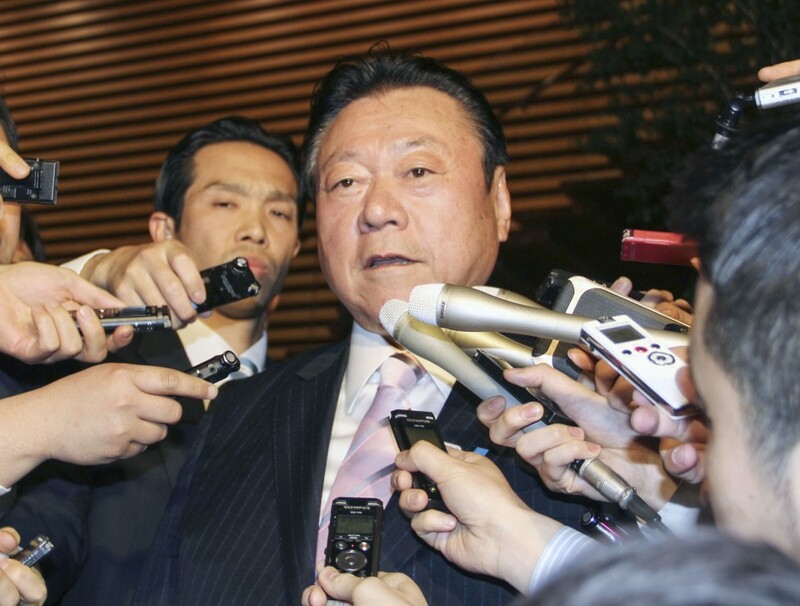 Takahashi's reelection is "more important than the recovery (of the region)," Sakurada said at the party held in Tokyo. His comments came on top of earlier gaffes that had already prompted opposition parties to step up calls for him to be ousted. In February, he said he was "very disappointed" over swimming gold medal hopeful Rikako Ikee's leukemia diagnosis -- a comment criticized for being more focused on the potential absence of the star athlete from the Tokyo Games rather than showing empathy for her medical issue. Sakurada, attending a parliamentary session, also said that while he has heard of the Olympic Charter, he has never read it. It was not the first time that Sakurada has gotten into hot water for remarks that appear to stem from his lack of knowledge or sensitivity, and people in the disaster-hit areas were not impressed by the latest example. "We are still far from a situation where we can say reconstruction has been completed," said Shizuko Niizuma, 68, of Naraha, Fukushima Prefecture, where the Japanese leg of the 2020 Tokyo Olympics torch relay will start. Only half the town's residents have returned since the 2011 nuclear disasters. Sakurada also made news in November when he admitted he has limited experience with computers despite being in charge of overseeing the country's anti-hacking preparations for the 2020 Games in his role as the government's cybersecurity chief. "Since I was 25 years old and independent, I have instructed my staff and secretaries. I have never used a computer," he said.